The Halo Diamond Pendant from the Zadok Collection. Set in 14k White Gold this lush Pendant will make your friends' necks envious. 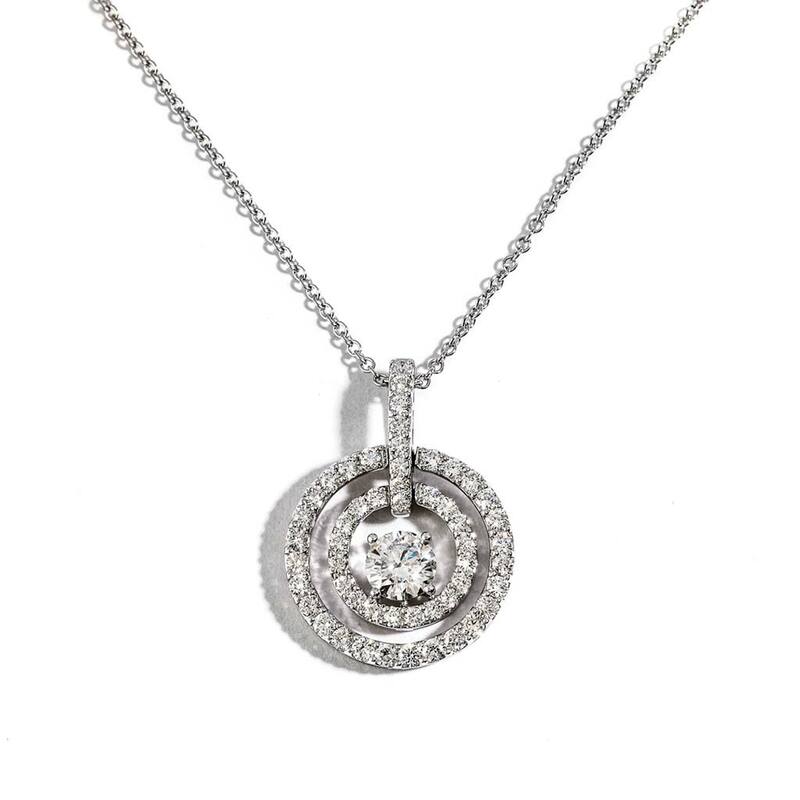 The Open Halo Diamond Pendant from the Zadok Collection. Set in 18k White Gold this fabulous Pendant will encircle your neck with sparkle.